After coming under intense pressure PayPal has closed the account of cloud-storage service Mega. 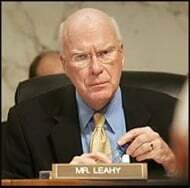 According to the company, SOPA proponent Senator Patrick Leahy personally pressured Visa and Mastercard who in turn called on PayPal to terminate the account. Bizarrely, Mega's encryption is being cited as a key problem. During September 2014, the Digital Citizens Alliance and Netnames teamed up to publish a brand new report. Titled ‘Behind The Cyberlocker Door: A Report How Shadowy Cyberlockers Use Credit Card Companies to Make Millions,’ it offered insight into the finances of some of the world’s most popular cyberlocker sites. The report had its issues, however. While many of the sites covered might at best be considered dubious, the inclusion of Mega.co.nz – the most scrutinized file-hosting startup in history – was a real head scratcher. Mega conforms with all relevant laws and responds quickly whenever content owners need something removed. By any standard the company lives up to the requirements of the DMCA. “We consider the report grossly untrue and highly defamatory of Mega,” Mega CEO Graham Gaylard told TF at the time. But now, just five months on, Mega’s inclusion in the report has come back to bite the company in a big way. Speaking via email with TorrentFreak this morning, Gaylard highlighted the company’s latest battle, one which has seen the company become unable to process payments from customers. It’s all connected with the NetNames report and has even seen the direct involvement of a U.S. politician. According to Mega, following the publication of the report last September, SOPA and PIPA proponent Senator Patrick Leahy (Vermont, Chair Senate Judiciary Committee) put Visa and MasterCard under pressure to stop providing payment services to the ‘rogue’ companies listed in the NetNames report. Following Leahy’s intervention, Visa and MasterCard then pressured PayPal to cease providing payment processing services to MEGA. As a result, Mega is no longer able to process payments. “It is very disappointing to say the least. PayPal has been under huge pressure,” Gaylard told TF. The company did not go without a fight, however. “MEGA provided extensive statistics and other evidence showing that MEGA’s business is legitimate and legally compliant. After discussions that appeared to satisfy PayPal’s queries, MEGA authorised PayPal to share that material with Visa and MasterCard. Eventually PayPal made a non-negotiable decision to immediately terminate services to MEGA,” the company explains. What makes the situation more unusual is that PayPal reportedly apologized to Mega for its withdrawal while acknowledging that company’s business is indeed legitimate. However, PayPal also advised that Mega’s unique selling point – it’s end-to-end-encryption – was a key concern for the processor. “MEGA has demonstrated that it is as compliant with its legal obligations as USA cloud storage services operated by Google, Microsoft, Apple, Dropbox, Box, Spideroak etc, but PayPal has advised that MEGA’s ‘unique encryption model’ presents an insurmountable difficulty,” Mega explains. As of now, Mega is unable to process payments but is working on finding a replacement. In the meantime the company is waiving all storage limits and will not suspend any accounts for non-payment. All accounts have had their subscriptions extended by two months, free of charge. Mega indicates that it will ride out the storm and will not bow to pressure nor compromise the privacy of its users. “MEGA supplies cloud storage services to more than 15 million registered customers in more than 200 countries. MEGA will not compromise its end-to-end user controlled encryption model and is proud to not be part of the USA business network that discriminates against legitimate international businesses,” the company concludes. c There are 133 comments. Add yours?